Budapest is more popular than ever. More and more travelers visit the ancient, but thriving capital of Hungary. There’s a lot of sightseeing to do and Budapest is the perfect city trip destination. Budapest is one of the most popular city trip capitals of Europe. The capital of Hungary has a little bit of everything and it’s a great destination for every type of traveler. Visitors can explore the Hungarian culture, visit tons of museums, and discover facts about the rich history of the country. Aside from the cultural stuff, Budapest is also a great place to dive into the nightlife and experience a memorable holiday. At the bottom of this post, we inserted a map of Budapest where you can find all the Budapest attractions we mention in this article. Buda Castle is probably the most popular tourist sightseeing attraction in Budapest. Every traveler in Budapest visits this impressive and majestic palace/castle on top of Buda Hill. Buda Castle is located in the Buda District at the Western side of the Danube river. From its terraces, you can gaze over the most stunning views of the city and the river. Possible, most travelers don’t really visit Buda Castle for the castle, but for the amazing views! To get to Buda Castle, you first need to cross the Danube river and climb Castle Hill. You can either choose to do this on foot, with a tourist bus, or you can choose the coolest option possible: the Castle Hill Funicular. This old-school, tiny tram line has a 90-meter track, in which it climbs 50 meters in altitude. Straight up it is! 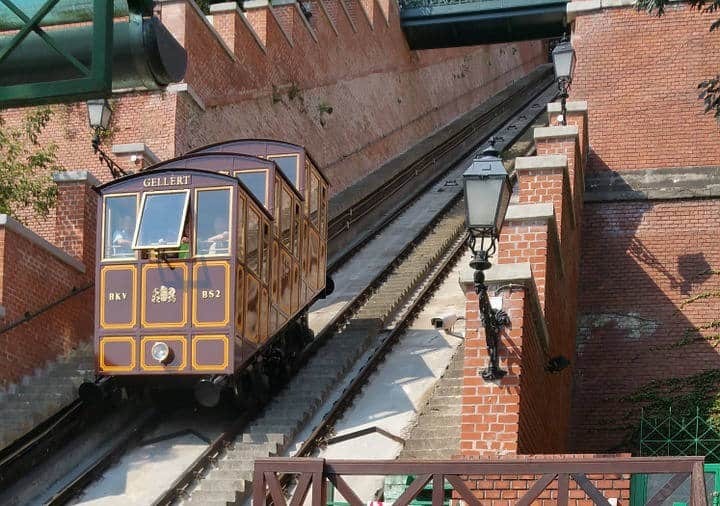 The tram cars look very cool and authentic and the funicular is an interesting method to climb a hill! Important: The Castle Hill Funicular isn’t opened all year. On Monday, the funicular is always closed for maintenance. Then they close the funicular on other days as well, also for maintenance. The Budapest thermal springs were, at some point in history, the most important reason for conquerors to claim the city. They started building bathhouses on top of the healing hot springs and enjoyed all the health effects of these thermal springs. 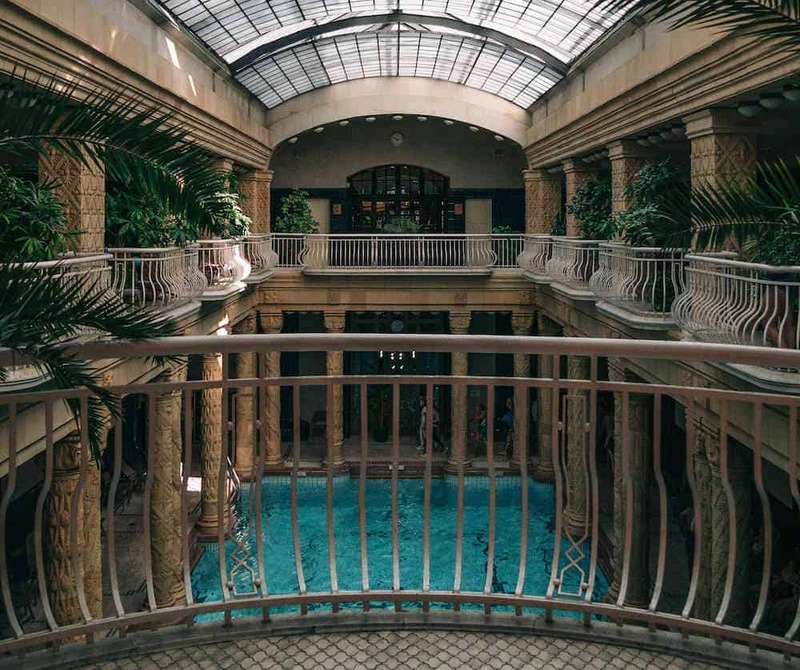 You can find dozens of thermal baths in Budapest. The most famous and most popular thermal baths in Budapest are Rudas, Szécheny, and the baths on Gellert Hill. The Hungarian Parliament Building in Budapest is a very robust and impressive building. It’s also the largest building in Hungary and you can admire it from the other side of the Danube river. Your best options to behold the Parliament Building are from the Buda Castle terraces, from the Fisherman’s Bastion or from a riverboat. It’s also possible to visit the inside of the building. Average visits take around 45 minutes to explore the building and the crown jewels. If you plan on visiting the Parliament Building, you might consider hiring a guide to tell you all the secrets there are to know! The Market of Budapest is located in the Great Market Hall, which could just as well have been the Central Station of Antwerp. It’s so huge and stylish! Locals visit the ground floor of the Great Market Hall in order to buy fresh vegetables and other local food. Tourists usually visit the place to shop for souvenirs on the first floor and indulge the scenery and vibe. It’s also an option to visit the Great Market Hall of Budapest with a local guide, before engaging in a private cooking workshop. This way, you learn a lot about Hungarian culture and cuisine. Not looking for souvenirs or local produce? 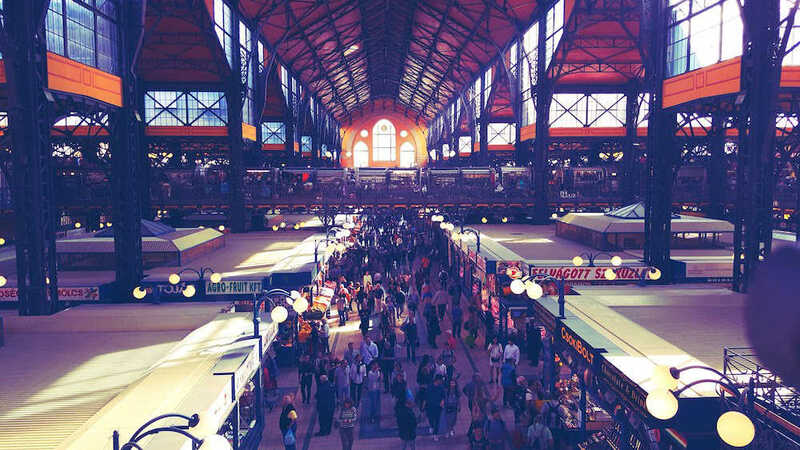 The Great Market Hall of Budapest is an impressive place to wander around and get a feel of the place. We didn’t visit the Market Hall to shop, but we did enjoy our discovery walk and we ended up shooting a few great pictures. This square is the largest square in Budapest and there are a few interesting attractions to be found. At one side of Heroes Square, the Museum of Fine Arts is located. On the other side of the square, you’ll find the Contemporary Art Building. Heroes Square is one of the most visited attraction in Budapest and you can expect to encounter crowds the minute you emerge from the subway station. 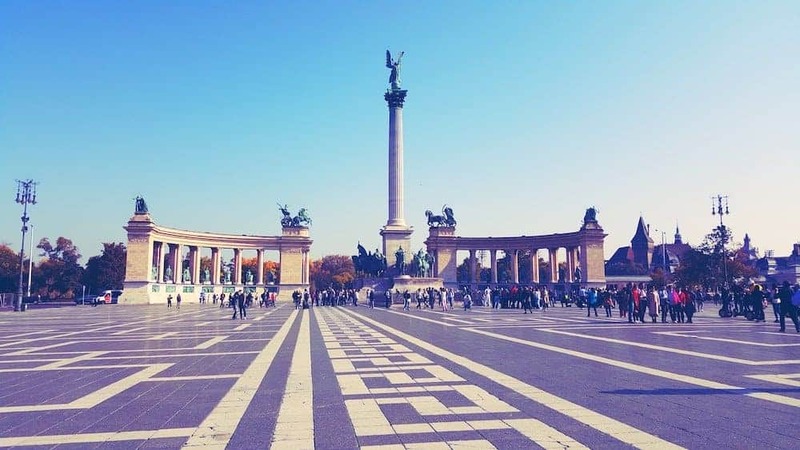 Heroes Square is a tribute site for 1000 years of Magyar ancestry. At the center of the square, a Millennium Monuments in the form of a huge pillar can be seen. The pillar is actually a pedestal for the archangel Gabriël. The Millennium Monument is surrounded by a dozen huge statues of different Hungarian kings and other important historical figures. You can visit Heroes Square during the day, as well as the evening, since the square is beautifully lighted at nightfall. Vajdahuyad Castle is one of the castles we mentioned in our list of the most beautiful castles in Hungary. There’s no doubt about the ingenious architecture with which the castle was built. Vajdahunyad Castle is conveniently located inside Budapest Park, not too far from Heroes Square. The castle is one of the younger castles in Hungary and it shows a mix of different building styles. You can either admire the castle from the outside and walk all the way around it. Or you can purchase an entry ticket to get inside. District 7 in Budapest is also called the Jewish Quarter. It’s one of the most popular and busy regions of the city. Most of the metropolitan life and action happens in the Jewish Quarter. This is the area where you can find most ruin bars, vintage shops, design shops, and restaurants. Aside from the Great Synagogue, there are also a dozen smaller synagogues to be found. This district breathes history, even though the district hasn’t always been so popular nor interesting. Currently, District 7 is known to be a hip and stylish neighborhood, filled with quirky shops and bars. This District is a great place to join a tour in order to discover all the street art and eclectic places. District 7 is centrally located and it’s also a great place to find accommodation. As I mentioned above, the Great Synagogue of Budapest is located in the Jewish Quarter or District 7. It’s the largest synagogue in Europe and the second largest in the world. The Great Synagogue can be found in Dohany Street and while you’re there, you can also visit the Hungarian Jewish Museum. Not only the Great Synagogue of Budapest, but the entire Jewish Quarter is listed as UNESCO World Heritage Site. 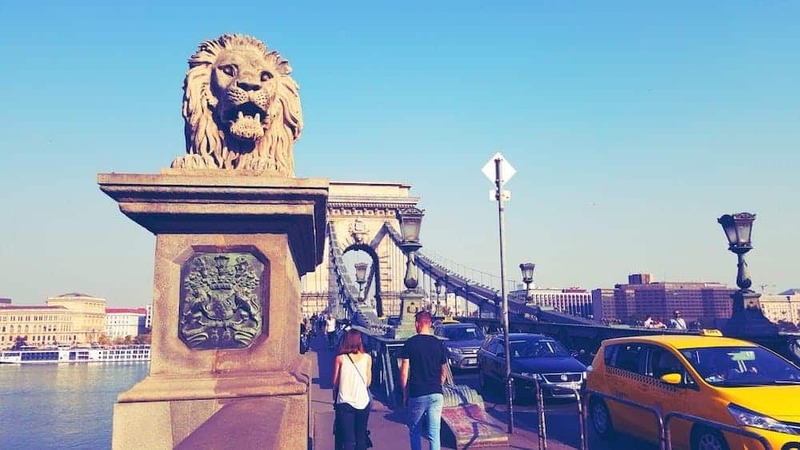 The Chain Bridge or Széchenyi Bridge is one of the many bridges which connect Buda to Pest and you can use it to cross the Danube River. As it is the most popular bridge in Budapest, it’s very unlikely to be there all by yourself. The Chain Bridge is centrally located and when crossing this bridge, you’re almost walking straight into Buda Castle… more or less. At the construction time in the 19th century, the Chain Bridge was an architectural masterpiece. And it definitely still is! There are sidewalks on both sides of the bridge, while the center lane is used for vehicles. Upon entering the bridge, you’re being watched by a set of stone lions, that guard Buda Castle. At nightfall, the bridge lights up and the Chain Bridge is an iconic sight. 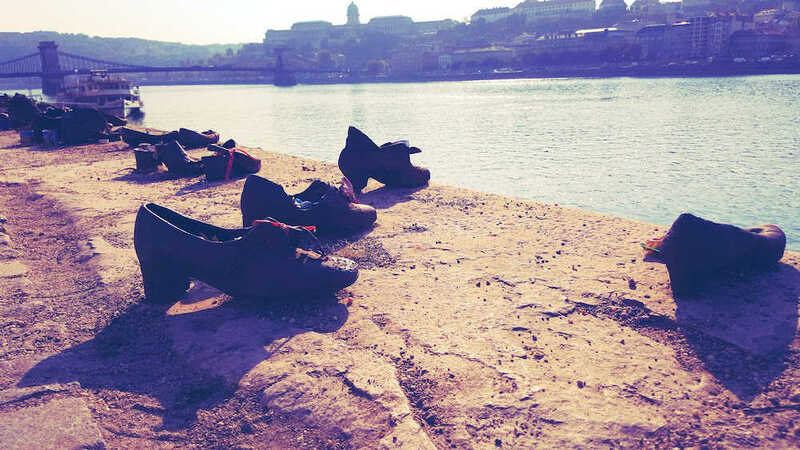 The Shoes on the Danube Bank are a memorial site for the inhuman practices that happened in this location during the Second World War. People who were killed on the banks of the Danube were obliged to take off their shoes before they were murdered. After that, these people were shot and the river carried the lifeless bodies of the victims away from the place of the murder. These gruesome scenes were given a permanent memorial right in front of the Budapest Parliament building. You can find the memorial site a few 100 meters from the Chain Bridge, right in front of the Parliament Building. If you ever attended Sziget Festival, Margaret Island might sound like music in your ears. Margaretha Island is located in the middle of the Danube River and it’s a great place to relax or escape the busy city life for a few hours. On the Island, you can visit a small Japanese Garden and a mini-zoo. In summer, Margaret Island hosts the Sziget Music Festival. At that time, the island is quite busy and noisy. 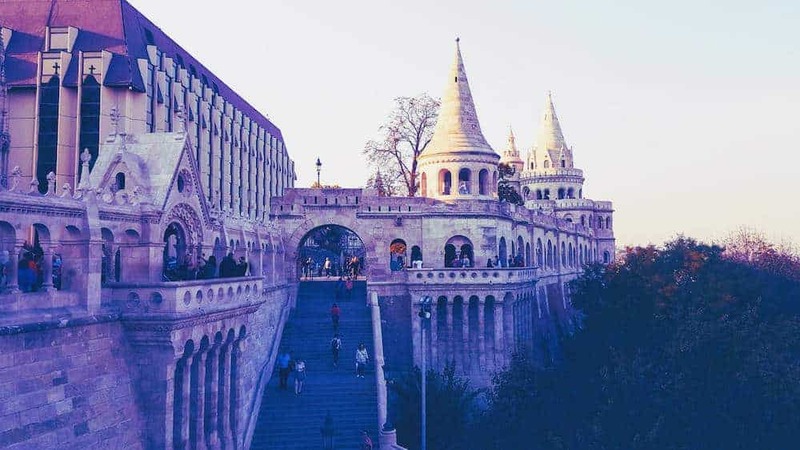 Fisherman’s Bastion is a unique location in Budapest, which mildly looks like a setting in a Disney movie, but better. The towers and terraces at the Fisherman’s Bastion offer scenic views over the Danube River and the Parliament Building. But you don’t even have to look in the direction of the river to get an enchanted feeling, because the bastion itself is just a delight to look at. 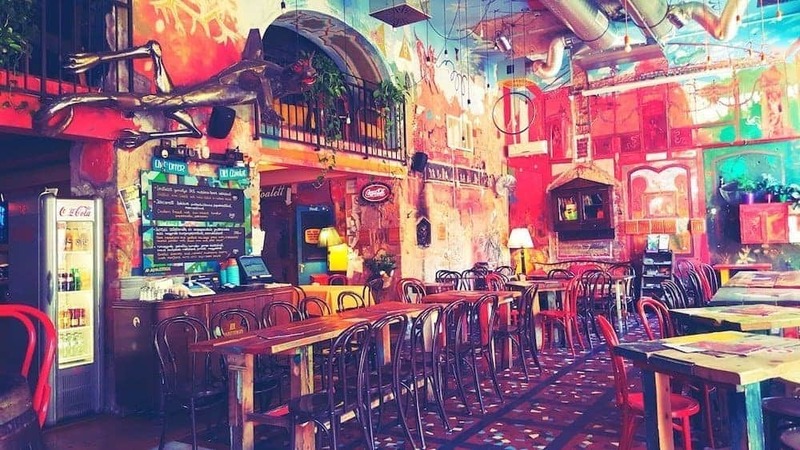 During the past few years, ruin bars have become immensely popular in the Hungarian capital and we totally understand why! The old buildings that have been converted into stylish bars or pubs can be found everywhere in the city. The ruin bars look hip and trendy and that’s exactly why they’re so crowded and popular. The initial concept was a place where local folks could escape the touristy crowds and expensive bars. Inside their underground ruin pubs, they could meet other locals over cheap beers. These bars used to move around, depending on whether or not a building was deserted or broken down. But now, things have changed and ruin bars are jam-packed with tourists. Obviously, there still are tons of ruin pubs that are using the same pattern and unknown to short-term visitors. We wrote an article about the best tourist ruin bars in Budapest. Right next to the most popular ruin bar in Budapest, you can find the Karavan food street. It’s quite recognizable by the bright red sign that says: Karavan. The street is actually an abandoned piece of land which now serves a great purpose. Food trucks with different specialties are lined up next to each other. 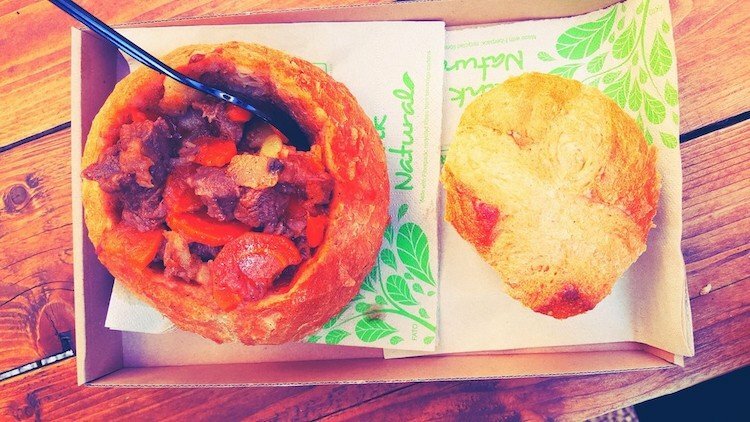 You can get a lot of different types of food in Karavan like this goulash served in a loaf of bread. As I already mentioned a few times, Budapest is a hipster city and with that, there should be vintage shops. Luckily there are! 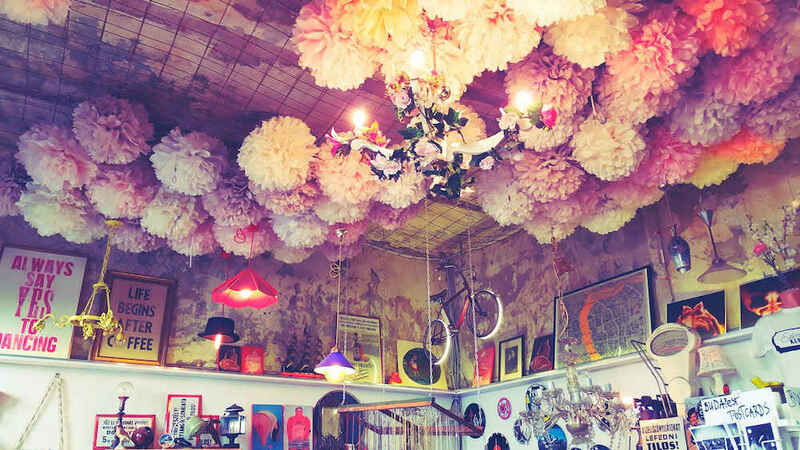 There’s a choice of vintage clothing shops and vintage home decor shops. Next door to the Szimpla Ruin Bar, the owners of the ruin bar opened a Szimpla Design Shop where you can buy interesting stuff for home decoration. For vintage clothing, you can visit stores like Szputnyik Shop, Retrock Vintage Designer Shop, or Humana Second Hand Clothing Shop. Gellert Hill at the Buda side of the Danube is a green and forested area which offers gorgeous views over the city and the river. On Gellert Hill, there’s also a Statue of Liberty and the famous Gellert Thermal Baths. The park on Gellert Hill is located on a 140-meter high rock on the banks of the Danube. 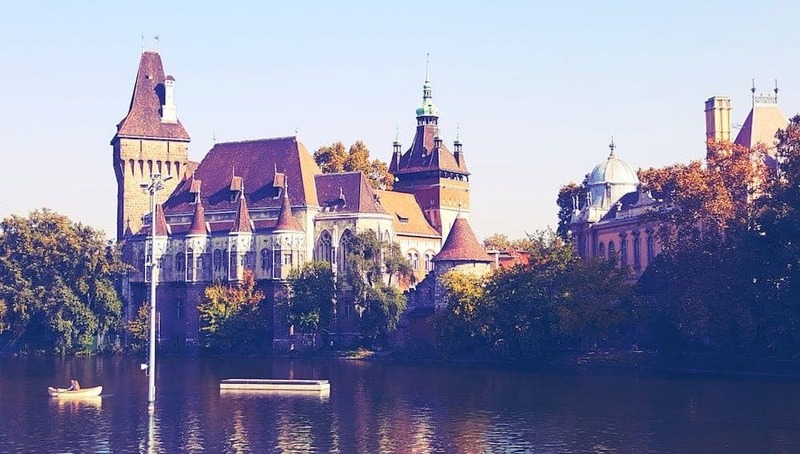 Just like Margaretha Island, Gellert Park is a great place to relax and escape the busy city life. 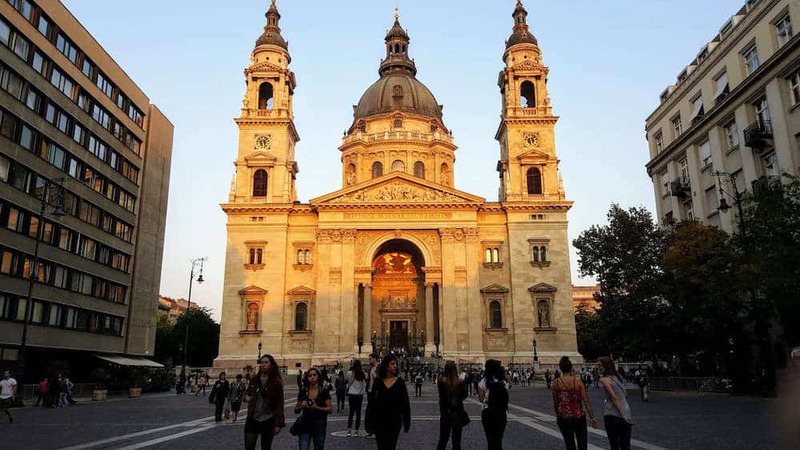 The St Stephen Basilica can be found on each and every list with things to do in Budapest. Named after Stephen, the first king of Hungary, the St Stephen Basilica is one of the tallest buildings in Budapest and one of the largest churches in Hungary. The different bells of the basilica are named after various saints and together, they weigh almost 10 thousand kilograms. From the top of the St Stephen Basilica, you can see the entire city. This sumptuous medieval church was built on the same hill as Buda Castle. The church was first built in the 11th century and it was destroyed and rebuilt several times. For more than a century, Matthias Church served as a mosque during the Turkish occupation. But now it’s a Catholic church again. Be prepared for extreme marvel and luxury upon entering this church. Matthias Church looks marvelous on the outside, as well as on the inside. Entering the church will set you back 5€. 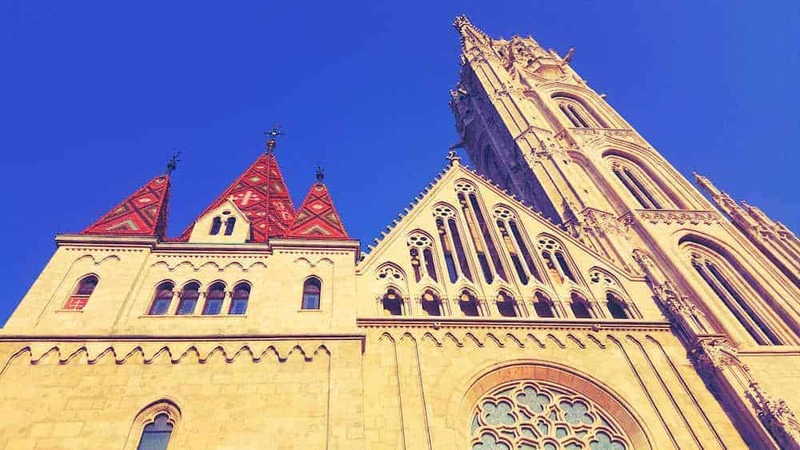 Visiting Matthias Church can be combined with a visit to Buda Castle and the Fisherman’s Bastion. Vaci Street is thé shopping street of Budapest and according to locals, it’s the most beautiful pedestrian street in the world. In an international contest, Vaci Street came out third, scoring way better than famous pedestrian streets in Amsterdam, Paris, and Milan. So, you should not skip Vaci Street! We enjoying wandering Vaci Street a lot and we even took some time to sit down on one of the many benches to watch shopping people walk by. Vaci Street runs parallel to the Danube and it goes all the way from the Great Market Hall to Vörösmarty Square. Inside Gellert Hill, the Cave Church was set up inside a natural cave, which was formed by the corrosion of a thermal spring. The same spring actually feeds the Gellert Hill Thermal Baths. It appeared to be a perfect location to set up a church! Getting to Gellert Hill Cave Church is possible by crossing the Danube River via Liberty Bridge. 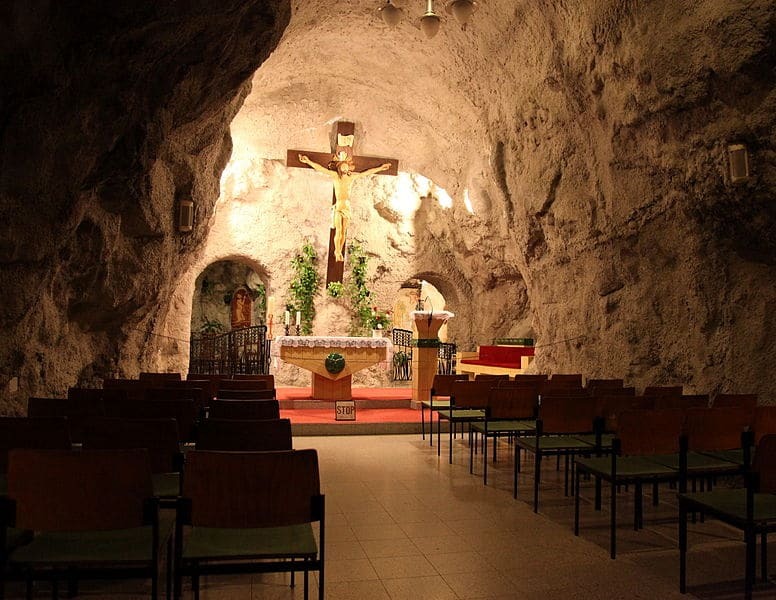 The Cave Church isn’t the only underground cave in Gellert Hill. 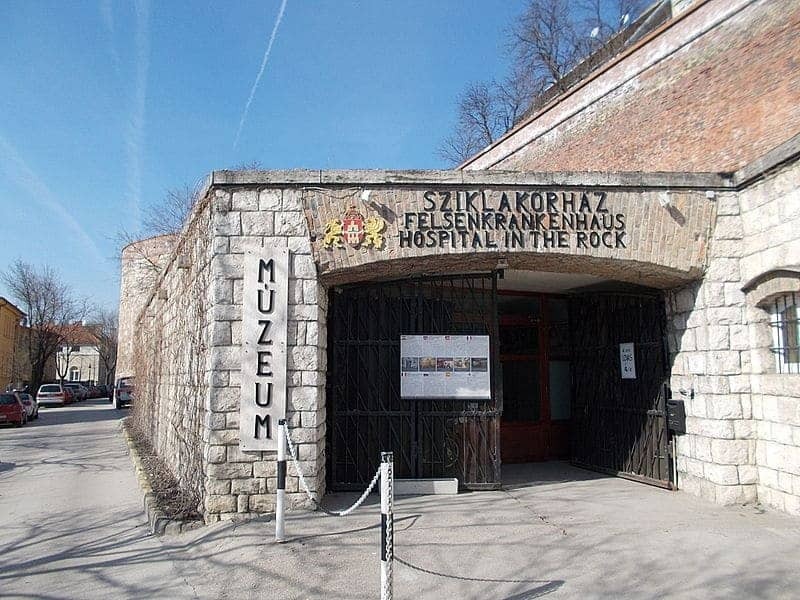 Nearby, you can also visit the Hospital in the Rock and the Labyrinth that sits underneath Buda Castle. Edit: The Labyrinth underneath Buda Castle has been closed permanently now. The Hospital in the Rock is an attraction in Budapest that takes you back to the Second World War. This secret military hospital was built as an emergency hospital during different wars and invasions. Even though the hospital was only equipped to hold up to 70 patients, it once held over 600 patients. The cave space was also used as a secret bunker against nuclear attacks during the Cold War. If you’re interested in the complete and interesting history of the Hospital in the Rock, you should definitely visit the museum that is currently set up inside the cave system. Children younger than 6 years old are not allowed inside the museum and a museum visit is discouraged for children younger than 12 years old. Entrance fee with a guided tour will set you back around 14€ per person. The last attraction is a bit more cheerful! 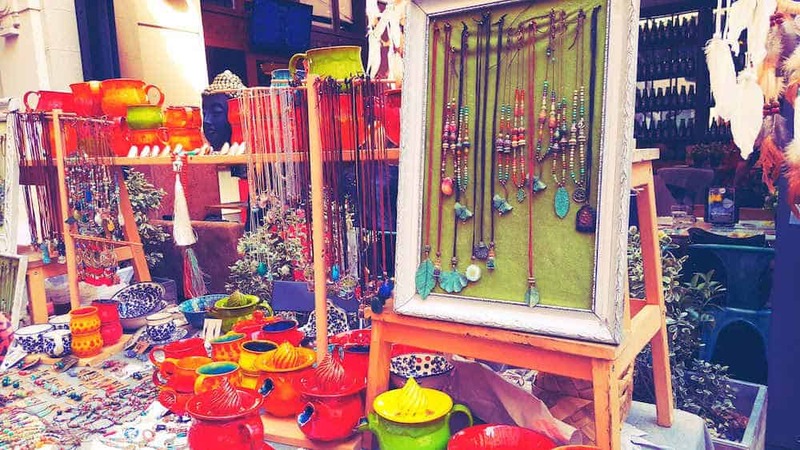 Aside from the cool vintage stores that are spread over the city, you can also shop for cool stuff at the Goszdu Weekend Market. This market is held every weekend in a narrow, but a busy passage in District 7 in Budapest. These 23 tourist attractions in Budapest are only the tip of the iceberg. Budapest offers countless opportunities and activities for travelers. If you only have a weekend to spare, these 23 Budapest sightseeing activities are a great way to start exploring Budapest. Have you been to any of these places or do you want to share interesting things to do in Budapest? Don’t hesitate to leave a comment below! PreviousRevolut Review – Does the Revolut Travel Card live up to the hype? I’ve always wanted to go to Budapest – – it’s been on my bucket list for far too long. This is a really helpful list for when I do go. I really enjoyed the info some of the lesser known things like the ruin bars, the cave church and the Karavan Food Street. I will definitely hit that street! I am dying to visit Budapest. Such a great run down of what to see and do. Thanks for sharing. I would definitely take the funicular to the top to see the Castle. I love riding funiculars wherever I find them! The square reminds me of somewhere else in Europe (as I haven’t been to Budapest yet) but I can’t think of where at the moment. I can’t believe the hospital that’s supposed to hold 70 patients once held 600! Incredible! The shoes are a powerful memorial, wow. I found Budapest an excellent destination, both for the city and, surprisingly, the food, which was wonderful. The market you described here is a wonderful place to try it. The wine is brilliant as well. We also went to the Szécheny baths and although the setting is formidable, the temperature of the waters wasn’t so high. If you’re used to hot springs in Asia, the ones in Eastern Europe are a bit lower. As for the ruins bars, it seems to be a trend, especially in Eastern Europe, to put a bar/club into a dilapidated building with a former purpose, a neat trend. There’s something here for everyone! I would be especially fascinated by the historical sights, like Hero’s Square, St. Stephen’s Church, and the hospital, and then probably head to a ruin bar for a drink afterwards. How long would it take an average tourist to do everything on this list, do you think? Not only was this a trip down memory lane, but also it helped me pin names to many of the places I have in photographs when I visited Budapest so long ago. I remember Hero’s Square and the castle. But then, I also see that there’s so much I have yet to explore in this place I’ve always thought of as a fairytale city. Things like the Hospital in the Rock and Karavan food street. This post is certainly inspiration for me to return to inspiration and fill in the gaps. 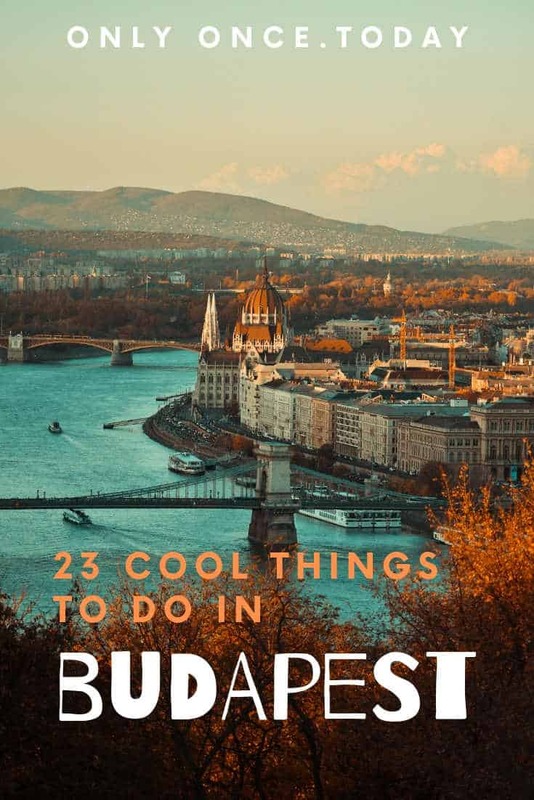 This is the perfect list for me as I might be headed to Budapest this summer and so have started to research it! I had no idea they had the largest synagogue in Europe there. Many years ago I had the opportunity to visit Auschwitz and remember being overwhelmed by the piles of shoes, luggage, and eyeglasses there. I’m sure the Shoes on the Danube Bank memorial would hit me in the same way. There’s something very impactful of the things left behind. I think I’d find The Hospital in the Rock quite fascinating as well. 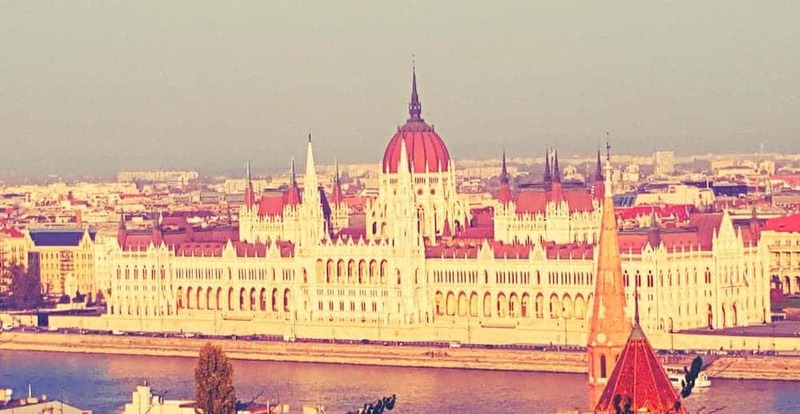 You definitely didn’t lie when you wrote “There’s a lot of sightseeing to do and Budapest is the perfect city trip destination.” I’m in love with your photos! I hope we can visit the place this 2019. When’s the best time to visit Budapest? Great post, thanks a lot for sharing. I’ve only been to Budapest once and only had about three hours to explore the city (as it was just an overnight stay during a work trip). So whilst I’ve ticked off some of the most obvious sights (like going up to the castle for the view), I missed out on so much and can’t wait to come back. Budapest is beautiful. Next time for sure also want to try some of the baths. What a thorough list! Budapest is on my bucket list. Hoping to visit in fall 2019!